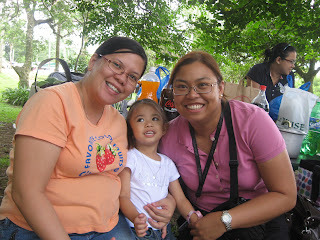 My Tita Josie, Tito Jun and cousin Nina are all here in Manila from the States for a short vacation. 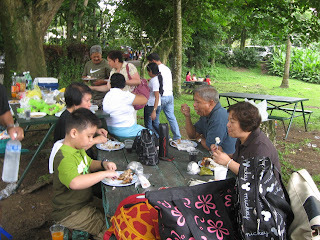 Because of this, we decided to have a quick out of town getaway as a family. 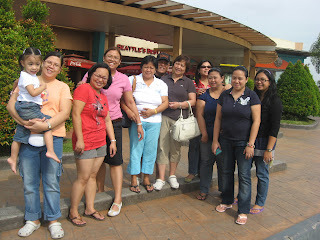 First, here's our picture during the quick stopover at the Caltex Station in SLEX. 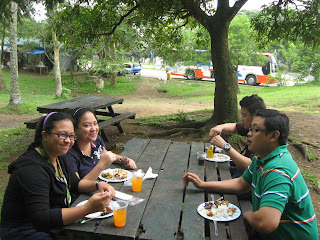 We arrived in Tagaytay a little before 10 a.m. It was a great ride, no traffic, no hassles. Maybe it was because everyone was at home waiting for the Pacquiao-Hatton fight that day. 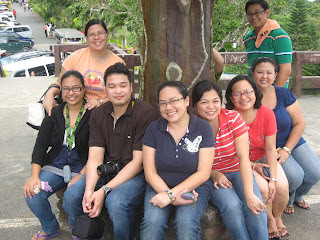 When we got there, syempre photo ops muna. 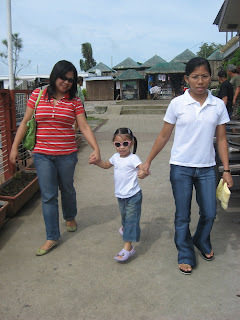 Zoe loved the cool breeze from the Taal Lake. 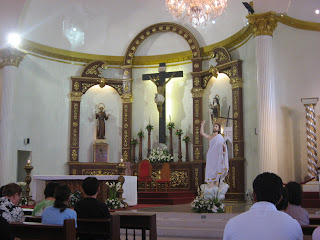 After a while, we all headed to the nearby Lourdes Church to attend Sunday mass. 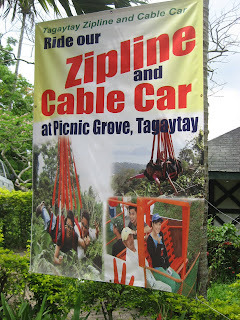 Incidentally, there is already a zipline and cable car which you can enjoy in Picnic Grove. Nobody dared to try it out though. 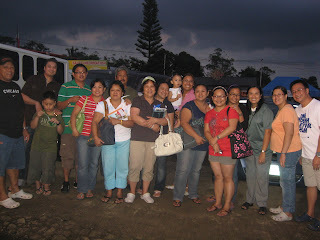 At around 4 p.m., we packed our stuff and went to pick up my sister who was staying in Mendez, Cavite. 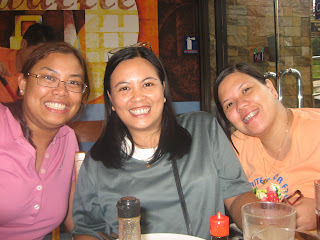 She joined us for a quick snack at Pancake House. After that, all roads lead back to Manila. It was a short but sweet family reunion. We're so happy to be together again.